Updated February 2019. 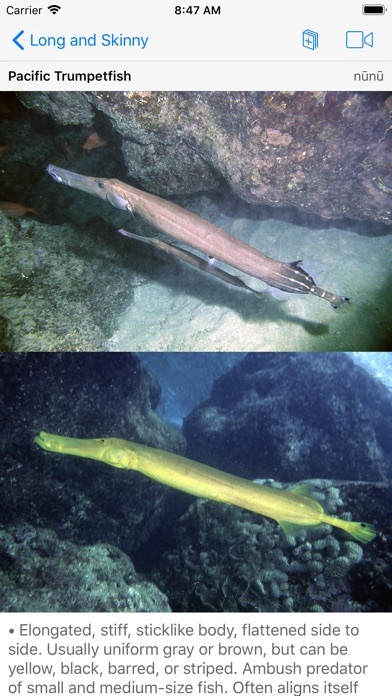 Covers all shallow-water reef fish commonly seen by snorkelers (and a lot of rare ones too). 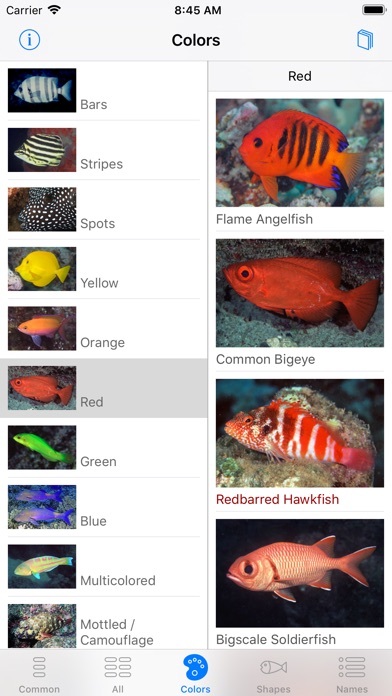 Flip through screens like pages of a book, or find a fish quickly by color or shape (the only fish app with these features). 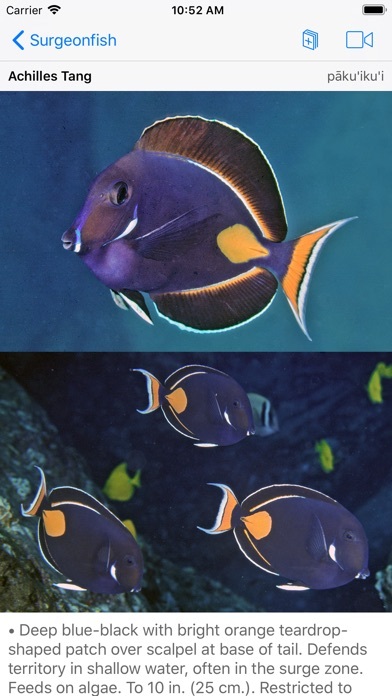 Up to 5 photos per fish -- showing juveniles, males, females, color variations. Each fish has a professional quality video also. - For snorkelers and beginning scuba divers. - 205 species* / 553 photos! 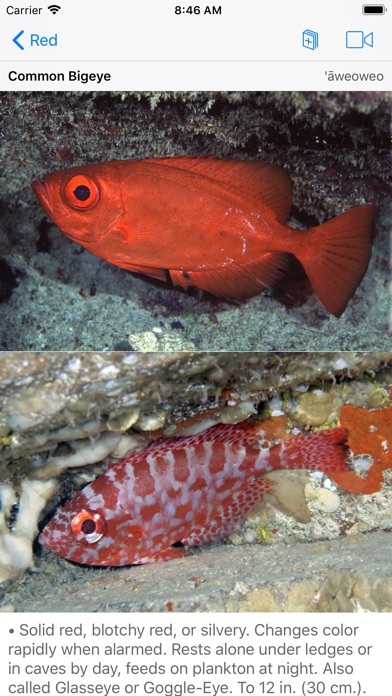 - Identify fish by color, shape, family group, scientific name, Hawaiian name, English name. 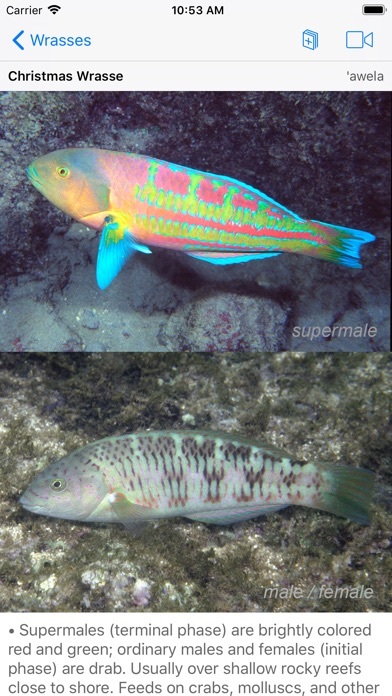 - Multiple photos of most fish. - Videos of all fish. ** - Logbook: save fish, share Logbook (text only). - Works great on iPads too. 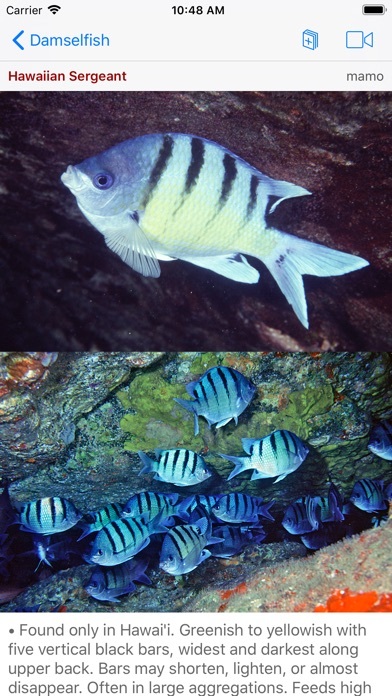 * Only half of Hawaii's 400+ shore fish live at snorkeling depths. 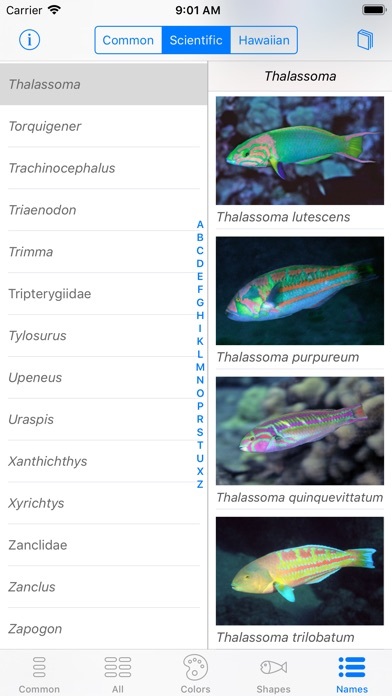 For easier ID, this app omits deeper-dwelling fish. 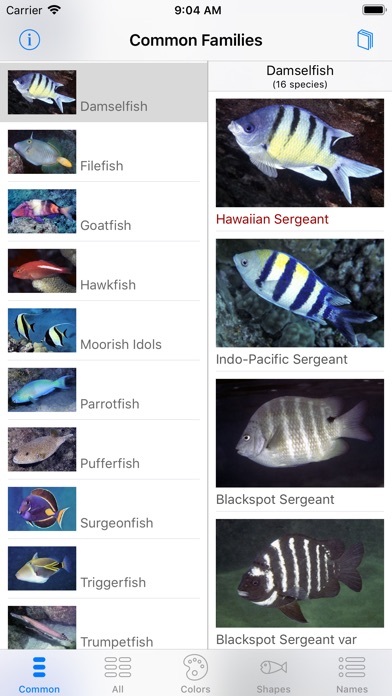 For a complete set of fish, see my app Scuba Fish Hawaii. 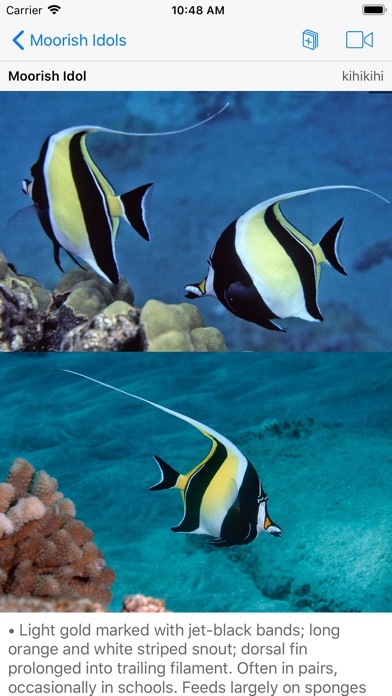 ** Videos require internet connection ** Created by John Hoover, author of Hawaii's best-selling marine life ID books: The Ultimate Guide to Hawaiian Reef Fishes, and: Hawaii's Sea Creatures, a Guide to Hawaii's Marine Invertebrates. Check them out on Amazon. 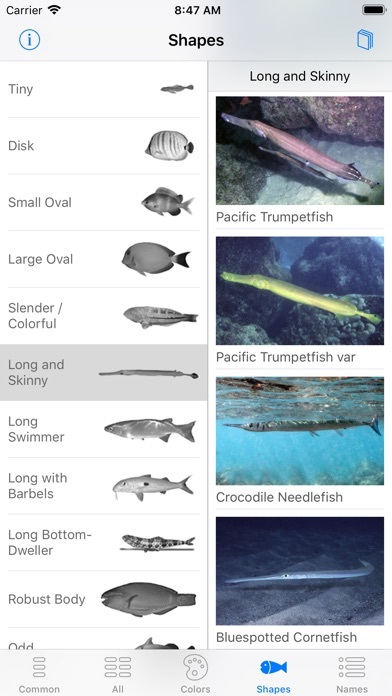 Needs a way to log where & when you saw each fish. A great go to app for every snorkeler! Very easy to maneuver. Great pics and very informative!